On May 18, 2012, for the first time I saw Nicosia — this is the capital of Cyprus. Nicosia is also the only divided capital in the world, and like all places in the world it too sits on top of several layers of history. If it’s a Friday afternoon around the 4:00PM hour, this is what Nicosia looks and sounds like, just a half-block away from a section of Venetian fortification walls. What the video is incapable of translating are the smells of kabobs, lemon and cilantro wafting out of the mom and pop kitchen behind us. This particular place had opened its Venetian doors to the outside sidewalk (presumably like they do every day), and a variety of conversations in Greek also pushed out from the restaurant, only to meet and dissipate into a wall of modern street traffic sounds. At the table to our right, a man leaned over his plate to eat up an early dinner, occasionally breaking to scan the street. Pedestrians — either on their way home or to a local watering hole or diner — walked by, and navigated their way across the street, either when the light instructed them or when there was a break in the stream of automobiles. 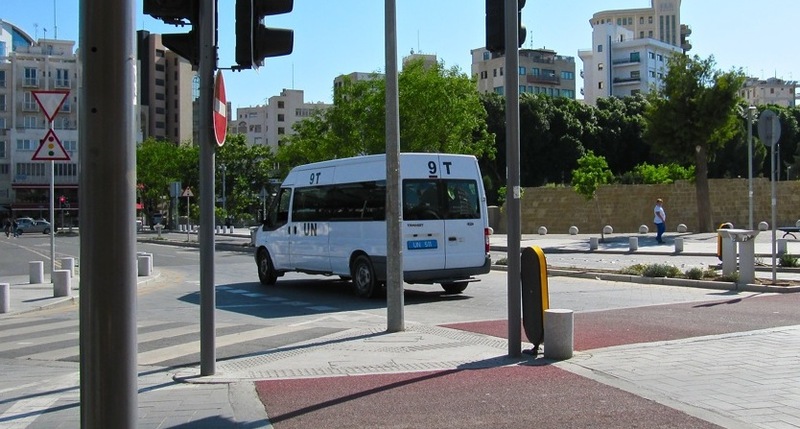 A UN van in Nicosia, Cyprus. One of the dynamics of the city and island is that a political line and physical wall demarcates the boundary between Greek-Cyprus and Turkish-Cyprus. If you walk around and through the city, it is impossible to not think about this division: signage and physical barriers (walls and sometimes barb wire and 55-gallon drums) reinforce the political-religious-cultural divide. It is also impossible to not enjoy the daily Cypriot life on a Friday afternoon. Sitting in a chair on the sidewalk is the present (of course, right), or the current cultural surface that is modernity. In one sense, modernity is a never-ending process. Leszek Kolakowski defined it as the tension that results from the present perpetually evolving out of and reshaping the physical and cultural institutions from the past. Thus, modernity sort of equals a real and metaphysical tension. Things become dated, and to varying degrees they need to be modernized. Cities live and breath. They have to. If they don’t, they are archaeological relics. 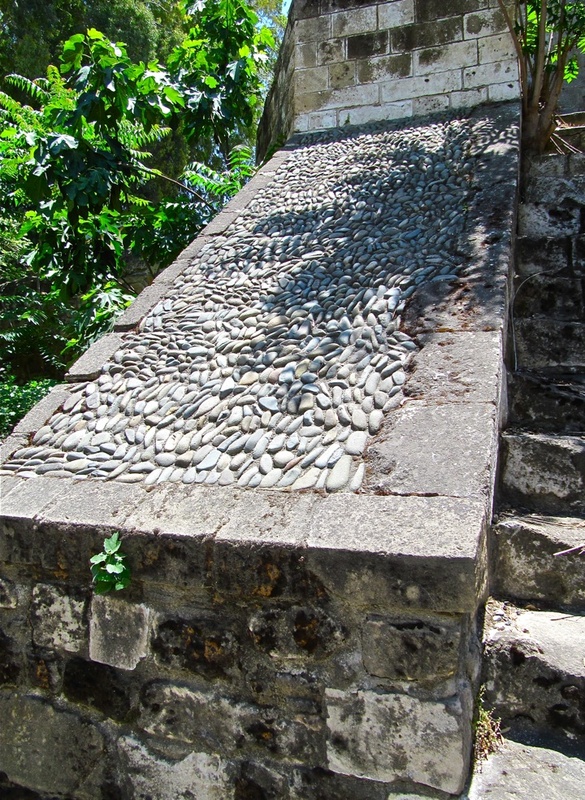 Stone cobble and mortar stylistically ascribed or reflective of the Ottoman Empire. Architecturally, the material culture of the island reflects that modernity that Kolakowski discussed at philosophical length. For example, there are modern businesses named “Hellenistic” this and “Byzantine” that. Segments of aqueducts built by the Ottoman Empire are also visible, as are the traditional Ottoman walkways of slender cobbles imbedded in mortar. At least one Neolithic UNESCO site is also on the island, this surrounded by (there is a healthy buffer) present day homes. When pondering this while physically at the site, your frontal lobe will metaphysically stretch forward and then snap back, only to be stopped by slapping the back of your skull. This is the result of looking at 9,000 year old stone homes on your left, and then glancing over to look at 10-year-old Cypriot villas on your right. Contemporary structures have also risen up out of these layers of history, and in Nicosia and throughout the island they are businesses offering for sale anything from Nike (appropriately the Greek goddess of victory) shoes to Taiwanese Mr. Brown coffee to Fanta orange soda one normally encounters while abroad, or at least outside of the States (from China to Mongolia to Uzbekistan to Cyprus, I have always encountered Fanta orange soda). Anyhow, you can think about all of this while sipping on a Carlsberg beer, just sitting down to stop and take in the city, reflecting on everything that has led up to this point that we call the present. Ages and people divided by time, but still in the same space and place. What a planet. This entry was posted on Wednesday, May 23rd, 2012 at 11:29 am	and posted in Uncategorized. You can follow any responses to this entry through the RSS 2.0 feed.